Volunteers For Christ is a non-denominational, non-profit religious organization formed for the purpose of raising financial and prayer support, primarily through short-term mission trips to reach Brazilians for our Lord Jesus Christ. We are focused on children’s/family programs (Kid’s Place), church planting (Community Bible Church), and Christian camping (Rancho Pitanga). It is our belief that by first ministering to the physical, educational, and emotional needs of the children, it will allow us an opportunity to meet their spiritual needs, as well as those of their families. Not only are we trying to change the lives of Brazilians touched by this ministry, but we are also trying to change the lives of those who serve on our mission trips, so they will come back with a new sense of urgency, desire, and passion for The Great Commission, which will overflow into their daily lives and have a positive influence on those around them. Volunteers For Christ was formally organized as a Texas 501(c)3 non-profit religious corporation in August 2005. Its history, however, dates back over more than two decades. 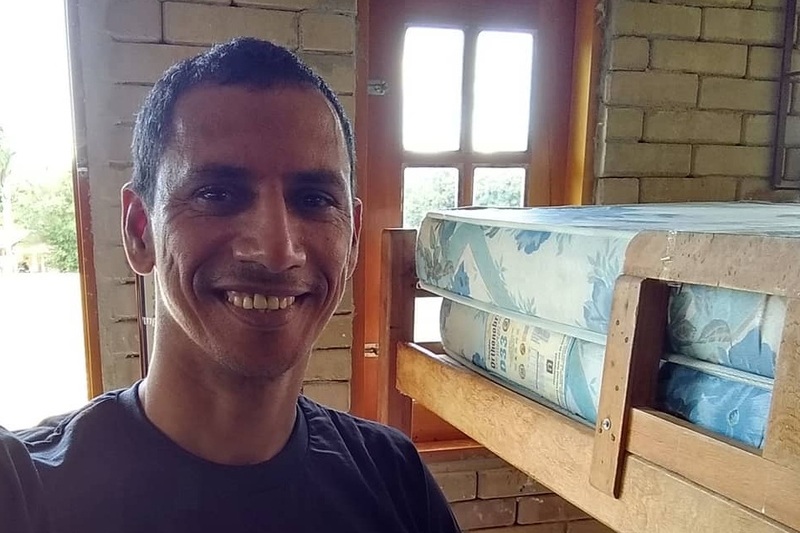 Brazilian native Lecio Wanderley and some close Christian friends had been seeking a way to minister to the poorest of the poor in northeastern Brazil. They wanted to not only spread the gospel of Jesus Christ, but they desired to break the cycle of poverty, both spiritual and financial, these families continually found themselves in. 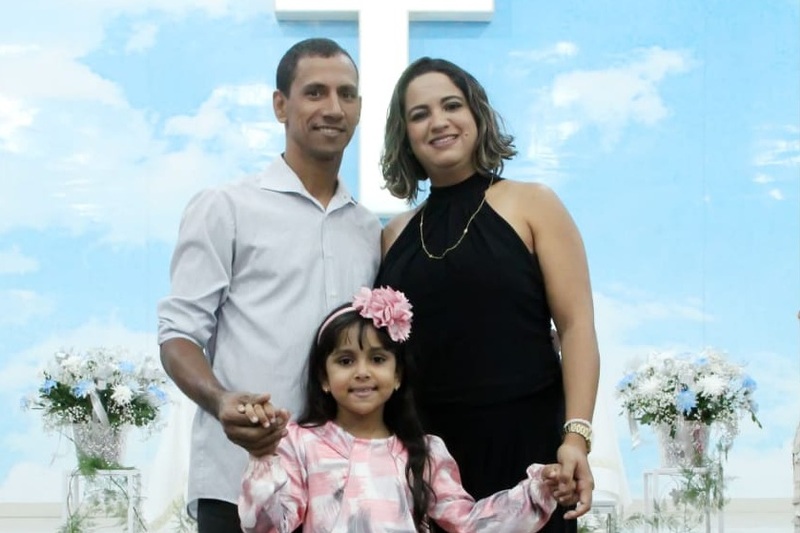 After earning his pastoral degree from the Baptist Theological Seminary in Recife and another degree from Fort Worth’s Southwestern Baptist Theological Seminary in Christian Camping, Lecio returned to his hometown of Recife, Brazil to begin his ministry. Following an exploratory mission trip in June of 2003, a small group of believers decided, along with Lecio and Ilma Wanderley, to form Volunteers for Christ. Pastor Lecio was born on April 30, 1952 in Recife, Brazil and he has been the President of VFC since its inception. After high school, he was saved at the Royal Ambassador’s Camp in Rio de Janiero at the age of 19. This decision led him to enroll in Recife’s Baptist Theological Seminary in 1975 and when he graduated in 1979, he became a traveling pastor for the next three years. In 1982, Pastor Lecio pursued his calling for camp ministry by moving to the U.S. and pursing a Masters in Religious Education with an emphasis on Recreation and Camp Administration at Southwestern Baptist Theological Seminary in Fort Worth, Texas. From 1982 until 1987, Pastor Lecio was learning English, working full-time, going to seminary, and, eventually, raising support, so he could return home as a missionary for Bible Centered Ministries (“BCM”). It was also during this time that Pastor Lecio was introduced to McKinney Bible Church, where he attended and worked part-time, and Christ Chapel Bible Church, which was one of his earliest supporters. Upon returning to Recife in 1987 as a BCM missionary, Lecio pursued his dream of Christian camping, working with teens and children, discipleship, Bible Clubs, leadership training, and preaching at teen conferences. Christ Chapel sent an “exploratory” group in 2002 and followed up with its first mission trip team in 2003. From there, a small group prayed and eventually founded Volunteers For Christ, Inc. with the idea of raising support through short-term mission trips to reach Brazilians through children’s programs (Kid’s Place), church planting (Community Bible Church), and Christian camping (Rancho Pitanga). Pastor Lecio “officially” came on as VFC’s first missionary in January 2008 and has been the national leader since that time. Pastor Lecio was married to Ilma on October 23, 1999 and they have three beautiful children - Lianna, Sarah, and Nathan. They currently split time between Rancho Pitanga, where Lecio oversees/runs our camp property in Monjope, and their house in Recife, where the children attend school and he leads our Kid’s Place ministry. Pastor Josué was born on November 12, 1958 in Recife, Brazil, where he has spent his entire life. After high school and college, he worked as a business accountant/manager and married Conceição (Ceça) on June 27, 1981. They have 2 children, Diego and Pollyanna, who are both in their 30's and living in Recife. Ceça is now retired after working as a hospital nurse technician for more than 33 years. Pastor Josué has been a tireless and dedicated Kingdom worker long before joining VFC as a missionary in August of 2008. Besides working and serving with us on short term mission trips since 2005, he obtained his 4 year theology degree from the Baptist Theological Seminary in Recife in 1992 and started/pastored 2 Baptist churches in Recife. He was also the director of the Baptist Christian Camp facility from 1992 to 1998 and worked summer camp programs with Bible Centered Ministries from 1992 - 2007. Additionally, he started and led several different Bible Clubs in and around Recife from 2000 to 2007. God called Pastor Josué to a small fishing village called Abreu do Una in 2002 and VFC mission teams visited there for several years before planning its first full week of VBS in 2008. Plans were made for Pastor Josué to start a church in his home, which he faithfully did for 6 years before property was purchased and Community Bible Church was built in 2014. The focus of his ministry is working with the children and families of Abreu do Una, leadership training, evangelism, discipleship, and pursuing a personal relationship with Jesus Christ. Pastor Eduardo Lima was born December 29, 1978. He lived in Jardim Fragoso, an impoverished neighborhood of Olinda, Brazil. He has five brothers and a baby sister. Raised by his parents, Dona Gil and Seu Moisés, their family home was small, built of cement blocks and sand. In 1992, Eduardo was invited to attend a VBS, and he began to participate in his local Christian community. By the end of his teen years, Eduardo’s heart was fully committed to Christ and serving the church. He desired to spend his life making Jesus known. While serving as a volunteer for a local camp, his heart for camp ministry grew. He traveled to São Paulo to receive further training in camp recreation. He also began seminary in 2004 to increase his Bible knowledge. Years later, Eduardo and his wife, Cida, participated in the first school for future missionaries of Volunteers for Christ for two years. In 2009, they founded a children’s ministry in Beira Rio, where they continue to minister to children and their families in this poverty-stricken community. They were delighted to welcome their precious daughter, Bianca, on February 24, 2012. Words cannot describe the beautiful moment of her birth, and they cannot imagine life before her. She has brought unforgettable joy to their family. As a family, they work daily to make Jesus known. In 2018, Eduardo was invited to join VFC as a full-time missionary after serving in a volunteer capacity for many years. By loving on their children, we believe you can earn the right to speak truth into the families and give them a hope for their future in the form of God's grace. This is a Brazilian ministry run by nationals, but our mission teams are there to encourage the missionaries, lift up our staff, and help raise awareness in the community for what God is doing through Volunteers For Christ. We want to come along side our dedicated workers and help them bring in the harvest!